Carey Edwards, K103 FM personality, teams up with Parklane Mattresses to help spread the word on mattress shopping made easy. 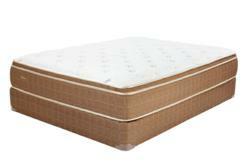 Edwards sleeps on their Aurora Mattress—eco-friendly, 100% Talalay Latex, medium comfort and suited for the combo sleeper. From easy mattress shopping to mattress recycling to pressure free sales to local quality Parklane has a mattress to fit all sleep styles and Edwards has the insight to refer his listeners to all that Parklane offers. I Love Parklane Mattresses! They're local, Eco-friendly, excellent service, and I'm rocking their new Aurora bed which is Awesome!! Seriously the best price I got after researching beds for several weeks. It is no surprise to hear a mattress ad on the radio. Odds are the average radio listener could recite a jingle or two—but that's where the similarities end with Parklane Mattresses. Now through May 2012, K103 FM listeners can hear Carey Edwards live chatting it up about Parklane Mattresses—Mattress Shopping Made Easy, Recycling, and their sponsorship of the Children's Cancer Association. Edwards provides an authentic insight into the Parklane Mattresses brand, since he has personally gone through the customized shopping experience, streamlined delivery and the mattress recycling process. Most importantly he sleeps on the Aurora mattress, an eco-friendly model, made from 100% Talalay Latex, medium comfort level and suited for the back/side sleeper. "I love Parklane Mattresses! They're local, Eco-friendly, excellent service, and I'm rocking their new Aurora bed which is Awesome!! Seriously the best price I got after researching beds for several weeks," comments Edwards. Listen in to K103 FM and stop into one of Parklane Mattresses' eight retail locations through out the Portland Metro area and SW Washington to learn more. Made in Oregon. Mattress Shopping Made EasyWe believe in delivering better sleep for all budgets. It starts with superior products at a modest price, and it’s backed by thoughtful service from a local company that understands your values and your community.